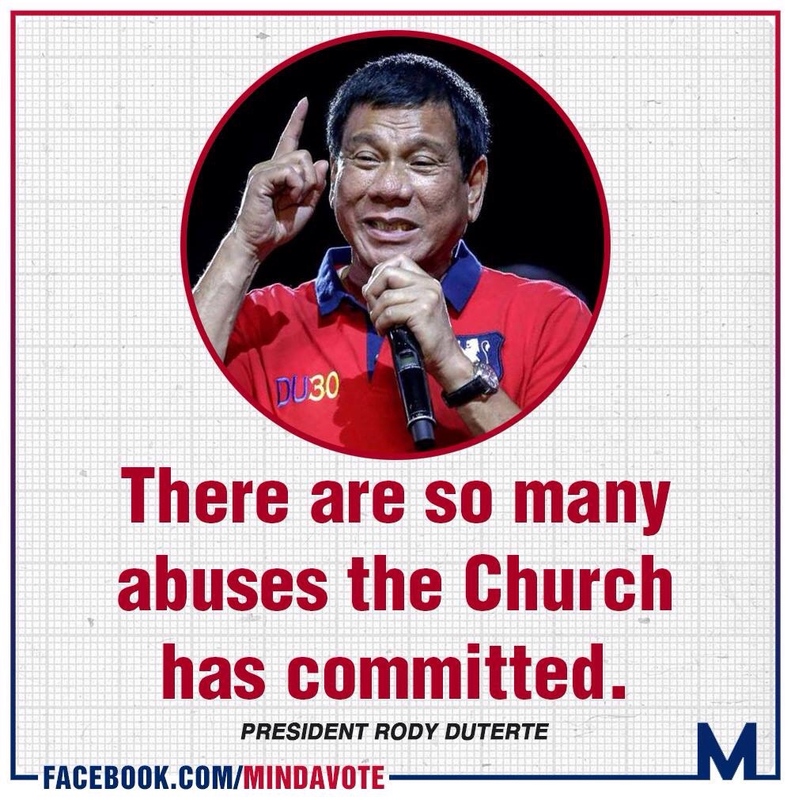 Judging from the reactions of most of the people to President Mayor Rody Duterte’s comments on the state of the Catholic leadership in the Philippines, it is clear that there is a big disconnect between the Bishops and the faithful. While some may point to Duterte as causing the rift, the fact of the matter is, the dissatisfaction has been there for a long time and it is only getting attention now because he had the courage to talk about it openly. Just like the media, the Catholic hierarchy in the Philippines has long dominated the national public agenda. But also like the oligarchy-controlled networks and publications, they have also glossed over their own accountability for their sins. Issues ranging from pedophilia, political meddling, corruption, and a host of other anomalies big and small have hounded the same organization that has consistently called on the country’s political leaders to live morally upright lives. And this is what Duterte has been going after. In all his interviews, he is careful to separate the sins of the leaders with the piety of the faithful. He talks about the bishops greed, and the poverty of the masses. He points out the weakness of the leaders, and the strength of the faith of the ordinary Filipino believer. By publicly tackling these taboo issues, Duterte has opened a can of worms and possibly created lifelong enemies that will stop at nothing to remove him from office. Left unchecked, this could be a dangerous threat for Duterte. The tentacles of the bishops are long and well connected in powerful places. And with powerful people. People who would have a lot to lose if Duterte succeeds in his change agenda. One thing going for the President though is the fact that he has been able to tap into a well-spring of public support, fed by a seemingly unlimited river of frustration with the status quo. If he is able to do as well, or better than he has now, this will be his shield against the slings and arrows that will inevitably increase in intensity in the coming months.